Haywood Grant, Brother-in-law, M, Aug-1878, 21, S, TX SC SC, Farm Laborer. Frank Cyonon, Boarder, M, 25?, S, MN US US, Cashier-Bank. J. L. Culpepper (Mrs.), Bexar Co., Nov 1 1918, 47522. 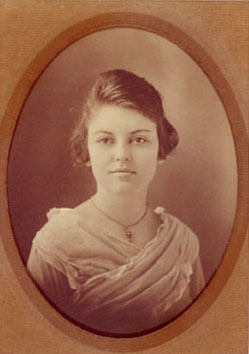 Clara A. (Culpepper) Anderson, Dau, F, 21, M, TX TX TX. Ancestry.com. Texas Birth Index, 1903-1997. James Lev Culpepper, Bexar Co., Jul 26 1924, 22269. Peggy Culpepper, Sister-in-Law, F, 23, S, TX/TX/AL, Bookkeeper. Gladys Hazelwood Culpepper, Bexar Co., Apr 7 1931, 16606. Photographed* say 2000� He was photographed say 2000. Obituary* 21 Jun 2016� Richard Allan Culpepper, beloved husband, father, grandfather, and great-grandfather, departed this world on June 15, 2016. Richard was born on September 13, 1929, in San Antonio, Texas, to parents Henry Allan Culpepper and Madge Moore Culpepper. He attended Thomas Jefferson High School where he met his lifelong love, Nancy. They were married on June 17, 1950, at Woodlawn Methodist Church. Richard began work at Culpepper Cleaners, a business his father had started in 1911. His wife, Nancy, later joined him in working at the family business which they ran for many years. Eventually they sold the business to their son and daughter-in-law, Jess B. Culpepper and JoAnne Boone Culpepper, and to their daughter and son-in-law, Terri Culpepper Walker and Mickey Walker, Jr.
Richard was a hard-working and energetic man, who also enjoyed hunting and fishing, and possessed a wealth of knowledge about the outdoors. He and Nancy purchased their ranch in Quihi, Medina County, Texas in 1971, and moved there permanently in 1974. They quickly came to love their new community and were active in their church, New Fountain United Methodist Church. Richard and Nancy owned a home near Rockport, Texas, where they loved taking family and friends fishing. In his later years he became interested in woodworking and built a woodworking shop at his ranch. He designed and built many beautiful pieces of furniture, as well as wooden crosses, almost all of which he generously gave to family and friends. Richard loved farming and ranching. Although he said he was going to sell all of his cattle at the end of the year, no one really believed that would happen. He was also a Mason, and a member of the Quihi New Fountain Historical Society. Last October Richard fulfilled a lifelong dream when he and Nancy made a journey to Idaho on an elk hunt, where he shot a 1000 pound elk, endowing his family with freezers full of elk meat. On June 15, 2016, Richard and Nancy embarked on a trip to Cabo San Lucas to celebrate their 66th wedding anniversary. The trip was to mark the occasion of their many years of a happy marriage with marlin fishing for Richard and shopping for Nancy as the planned activities. They perished on the beach in Cabo San Lucas in each other's hands in a drowning accident that same day and are now celebrating with their Savior and Lord in eternal peace and happiness. Survivors include three children: son Ben Allan Culpepper and wife Joy O. Culpepper; son Jess Bryan Culpepper and wife JoAnne Culpepper; daughter Terri Culpepper Walker and husband Mickey Walker, Jr; six grandchildren: Luke Allan Culpepper and wife Lindsey Culpepper; Ross Garrett Culpepper; Ethan Boone Culpepper; Jessica Isabel Culpepper; Andrew Venoy Walker; Georgia Alison Walker; and three great-grandchildren: Chase Allan Culpepper; Bryce Thomas Culpepper and Kylie Ann Culpepper. Visitation will be from 6:00 P.M. - 8:00 P.M. on Wednesday, June 22, 2016, at Guinn-Horger Funeral Home, 2006 Avenue M, Hondo, TX 78861. The funeral service will be on Thursday, June 23, 2016, at 10:00 A.M. at New Fountain United Methodist Church, 2980 FM 2676, Hondo, TX (Quihi) 78861....with interment in the New Fountain Cemetery across the street. Richard Allan Culpepper, Male, born __1929 in Bexar Co., Texas, child of Henry Allan Culpepper and Madge Moore. Richard Culpepper, Son, M, 6/12, S, TX/TX/TX. Henry A Culpepper, Male, died 28 Mar 1975 in Bexar Co., TX. Madge Moore Culpepper, Female, died 15 Feb 1988 in Bexar Co., TX. Obituaries of Nancy and Richard Culpepper, published in Express-News on June 21, 2016. Ben Allan Culpepper, Male, born __ 1953 in Bexar Co., Texas, child of Richard Allan Culpepper and Nancy Kosinski. Jess Bryan Culpepper, Male, born __ 1958 in Bexar Co., Texas, child of Richard Allan Culpepper and Nancy Kosinski. Terri Ann Culpepper, Female, born __ 1961 in Bexar Co., Texas, child of Richard Allan Culpepper and Nancy Kosinski. University of Texas at Austin, J.D. University of Texas at Austin, B.B.A. Source http://www.martindale.com (retrieved 21 Jan 2010). Luke Allan Culpepper, Male, born __ 1982 in Midland Co., Texas, child of Ben Allan Culpepper and Joy Lynn Oehler. Ross Garrett Culpepper, Male, born __ 1984 in Midland Co., Texas, child of Ben Allan Culpepper and Joy Lynn Oehler. Ethan Boone Culpepper, Male, born __ 1991 in Bexar Co., Texas, child of Jess Bryan Culpepper and Jo Ann Boone. Jessica Isabel Culpepper, Female, born __1993 in Bexar Co., Texas, child of Jess Bryan Culpepper and Joanne Boone. Alvin Grant Culpepper, 22, of Devine (Medina Co.), Texas, born 5 Feb 1895 in Goliad (Goliad Co.), Texas. Salesman for Adams Co. of Devine (Medina Co.), Texas. Single, Caucasian, no dependents and no prior military experience. Medium height and build, brown eyes and hair, not bald and no disabilities. Registered 5 Jun 1917 in Medina Co., Texas. Martinez Revis, Lodger, M, Jan-1873, 27, S, MX MX MX, Day Laborer. Ethel Culpepper, Daughter, F, 6, S, TX TX TX. Sparks Chapel Cemetery. Located in Franklin County Alabama, on Highway 16, 5 miles south of Highway 24, 8 miles east of Red Bay. + Grant A. Culpepper, Feb. 5, 1895 - Jan. 5, 1954, Texas PFC HQ 141 Inf. WW-I. Harvey Green Culpepper, died 5 Oct 1946 in Harris Co., TX. Grant A. Culpepper died 5 Jan 1954 in Franklin Co., Alabama. Bryan Sewell Culpepper, Hale Center, TX, age 21, born 23 Aug 1895 in Goliad, Texas, Telephone Operator for Southwestern Tel & Tel Co. at Hale Center, Texas, No dependents, Single, Caucasian, Claims exemption from the draft "on account of enlistment in the Navy and telephone service." Medium height, Medium build, Light blue eyes, Dark hair, Not bald, No disabilities. Registered 5 Jun 1917 at Hale Co., Texas. Bryan Culpepper, Head, 33, M, Md@19, TX TX US, Machinest-Oil Ref. Gussie Culpepper, Wife, F, 34, M, md@19, TX TX TX. Harve Culpepper, Father, M, 52, WD, TX TX TX, Worker-Laborer. Kenneth Bryan Culpepper, Male, born 1 Feb 1933 in Harris Co., Texas, child of Bryan Sewall Culpepper and Gussie Ada Wiley. Gussie Ada Culpepper, died 22 Jun 1963 in Atascosa Co., TX. Bryan S Culpepper, Male, Single, died 5 Sep 1974 in Bexar Co., TX. 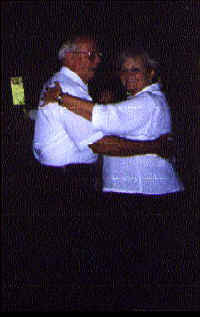 E-mail written Nov 2010 to Warren Culpepper from Barbara Ann Culpepper Lewis (#25196), Jourdanton, Texas, e-mail address. Charlotte Constance Culpepper, Female, died 17 Feb 1996 in Travis Co., TX. 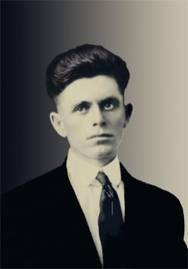 James Monroe Culpepper, General Delivery, Wichita Falls, Wichita Co., Texas, age 20, born 25 Nov 1897, White, Sheet metal worker for Ray Sheet Metal Co. at Wichita Falls, Wichita Co., Texas; Nearest relative: Mr. H. G. Culpepper, RFD 2, Stockdale, Wilson Co., Texas. Medium height, Medium build, Brown eyes, Dark hair, no disabilities. Registered 12 Sep 1918, Wichita Falls, Wichita Co., Texas. Harvey G. Culpepper, Father, M, 62, Wd,md @ 28, TX/AL/MS, Farm Laborer. Richard W Culpepper, White, born 1921 in Texas; Resides in Tarrant Co., TX; Enlisted 18 Feb 1942 at Dallas, TX in the (Unk Branch) as a Private; Education: 4 years of high school; Occupation: Sewing Machine Operator, Married; Height: 68 in., Weight: 162. James M Culpepper is the father of an infant born 27 Feb 1923 in Potter Co., Texas. Donald Monroe Culpepper, Male, born __ 1933 in Cottle Co., Texas, child of Jack M Culpepper and Katy Bailey. Obituary of Donald Monroe Culpepper (#25138), published 9 Dec 2009. James M Culpepper, Male, Single, died 25 May 1970 in Wise Co., TX. Doris Ann Culpepper, Female, born __ 1930 in Cottle Co., Texas, child of James Monroe Culpepper and Katie Lee Bailey. Katie Lee Culpepper, Female, died 12 Feb 1983 in Wise Co., TX. Ethel Culpepper, Lodger, F, 25, S, TX TX TX, Secretary Dr’s Office. Ethel Merle Culpepper, died 12 Jan 1934 in Dallas Co., TX, 6549. Harold Culpepper, Son, M, 2, S, TX TX TX. E-mail written 2005 to Lew Griffin from D.D. Rev. Dr. Steven R. Hudson, e-mail address. Carl Culpepper, Son, M, 1, S, TX TX TX. Charles E Culpepper Sr, Male, Single, died 23 Dec 1964 in Bee Co., TX. Emily Hannah M Culpepper, Female, Widowed, died 7 Jan 1968 in Bee Co., TX. 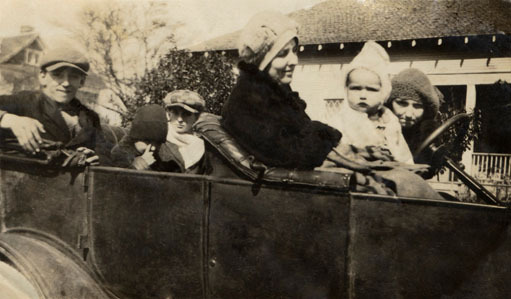 Verna Ethel Culpepper and Phillip E Dickinson are the parents of Louise Dickinson, Female, born __ 1929 in Swisher Co., Texas. Frances P. Culpepper, Dau, F, 7/12, S, TX/TX/TX. Harold L. Culpepper, 98, of Victoria, died Monday, May 1, 2006. He was born Nov. 5, 1907, in Beeville, to the late Charles E. and Hannah Bludworth Culpepper. He was a retired manager and insurance agent and a member of Baptist Temple. Survivors: sons, Robert Harold Culpepper and Edwin Riley Culpepper, both of Victoria; three grandchildren; and nine great-grandchildren. Preceded in death by: wife, Genevieve Harris Culpepper; sister, Louise Baker; brother, Oren Culpepper. Harold Culpepper, Nephew, M, 22, S, TX/TX/TX, Bank Teller. The Victoria Advocate, Victoria, Texas. Obituary of Genevieve Culpepper, published Sunday, April 2, 2006. Obituary of Harold L. Culpepper, published May 2, 2006.